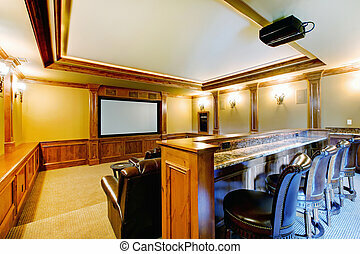 Brilliant home theater with bar. 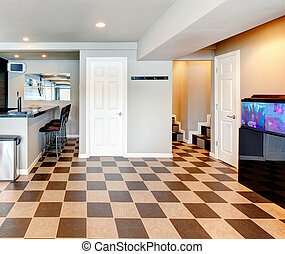 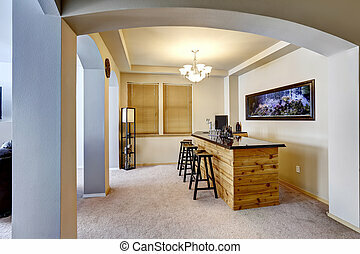 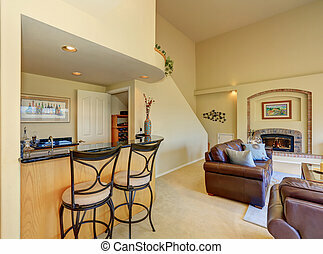 Brilliant and cozy home theater with a bar. 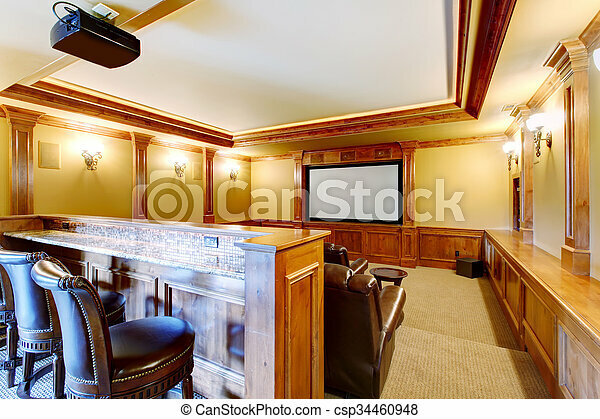 Brilliant Home Theater With Bar. 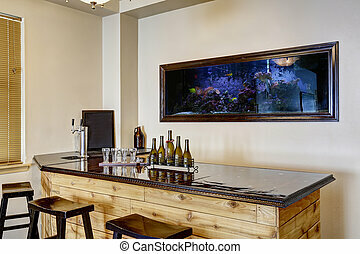 Brilliant and cozy home theater with a bar. 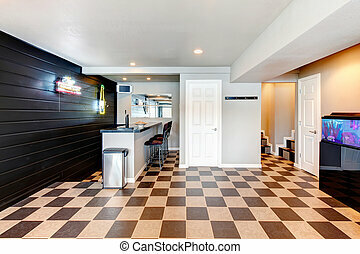 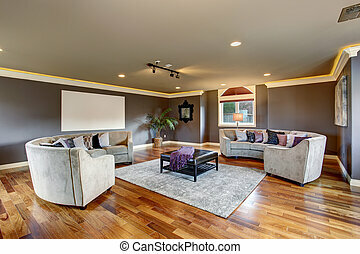 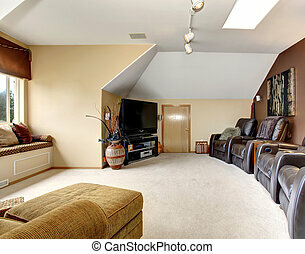 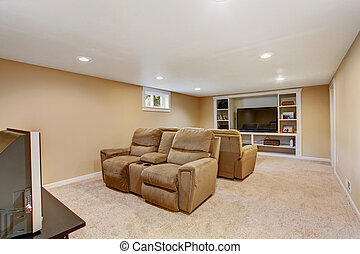 Great home theater room with leather recliners, and carpet. 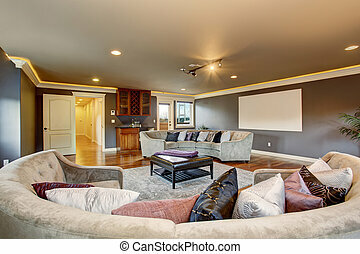 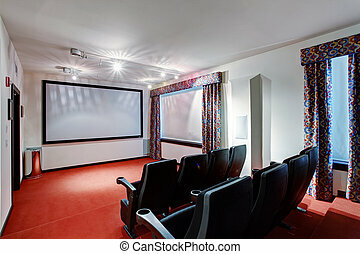 Large home theater room with projection unit and gray sofas. 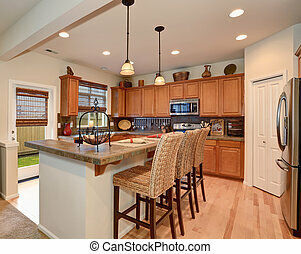 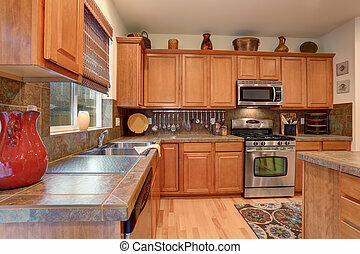 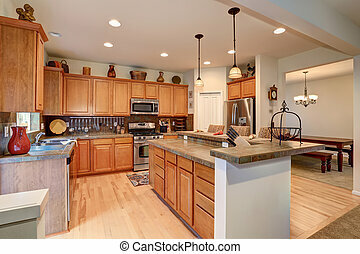 Brilliant kitchen with great lighting and simplistic decor. 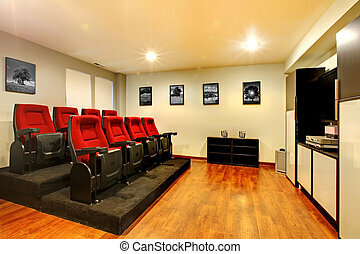 Home TV movie theater entertainment room interior with real cinema chairs.